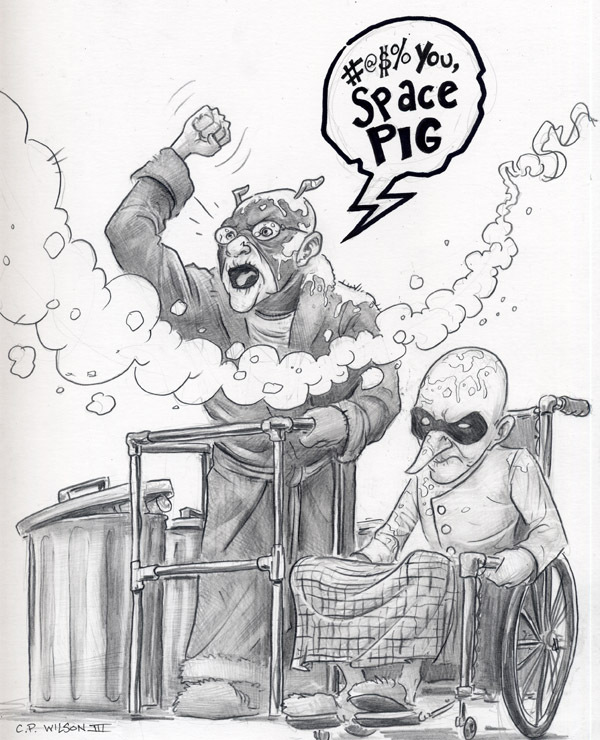 SuperFogeys - FAN ART: SWIFTY AND DR. ROCKET BY CP WILSON III! I have lots of SuperFogeys fan art. Now there is a place for it. At least once a week I’ll be posting new pieces from my archive. Want to see your work on superfogeys.com? Send in your fan art to me at bwhheasley (at) gmail (dot) com. New fan art goes to the top of the queue! 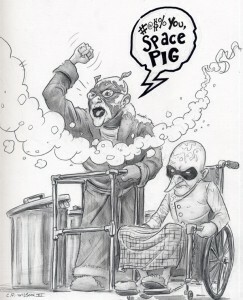 Today’s piece is by CP Wilson III–artist of the New York Times Best-selling Graphic Novel, THE STUFF OF LEGEND!